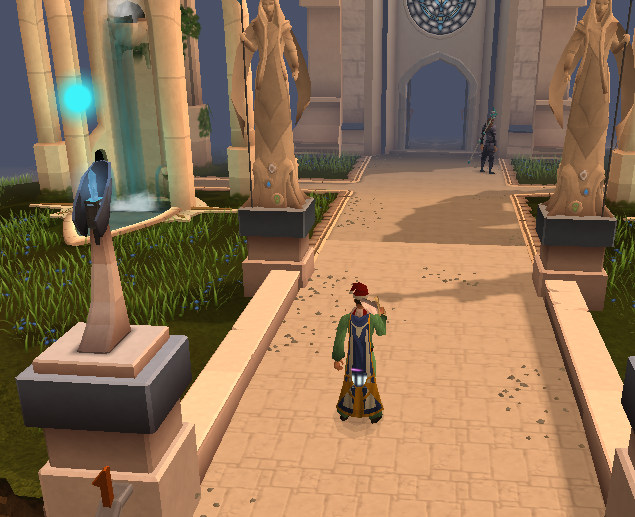 The Wizards' Tower is a (for Runescape standards) a fairly large tower. 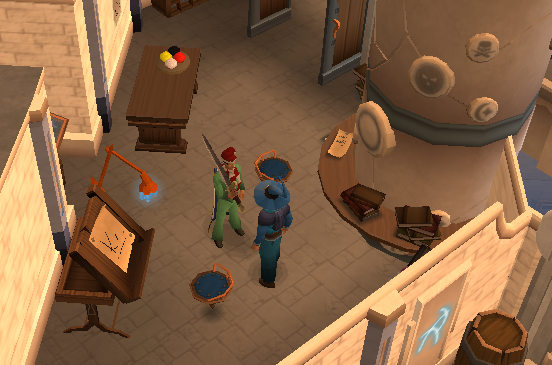 Located south of Draynor Village, adventurers go there to claim rewards and train on their newly acquired magical spells. 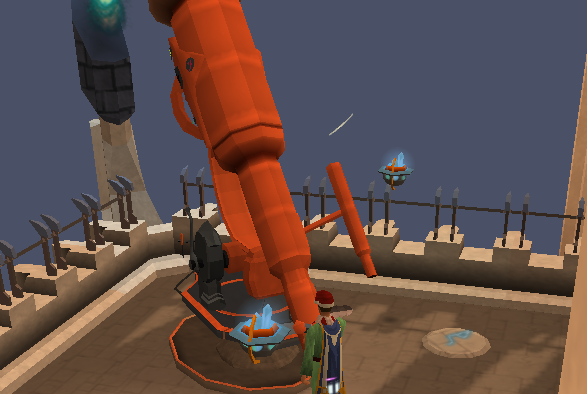 The Wizards' Tower is a magnificent tower located south of Draynor. Adventurers come here for quests, to claim rewards, and to better their magical abilities. Many of the NPCs in the Wizard's Tower are also voice acted, so it may be a good idea to turn audio on if it isn't already. Upon entrance you will be greeted by Wizard Valina. Wizard Valina's main purpose is to give you a basic overview of the tower, but you won't need that too much because you have this nice guide in front of you. The ground floor serves primarily as a library. It is filled with magically revolving bookcases. Searching through the bookcases reveal titles such as "So You Think You're a Mage? Volume 28" and "The Dark Arts of Magical Wands." For every library there is that one annoying librarian who tells you and your friends to be quiet for every little sound you make. 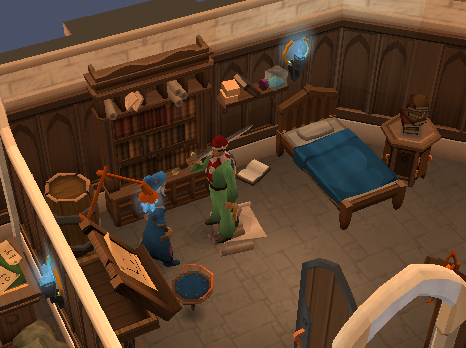 Wizard Borann serves that purpose in the Wizards' Tower library. When you speak with him he will tell you to be quiet in the library. Also in the library is Professor Onglewip, a gnome who has been sent to the Wizards' Tower to learn about human magics. He is a possible customer during the Gnome Restaurant Activity. 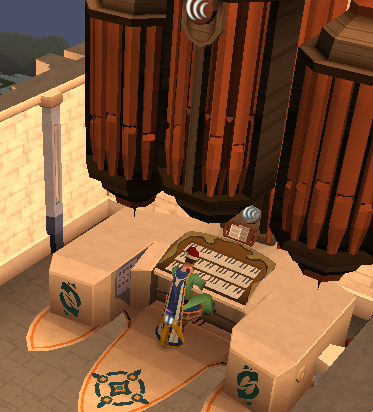 Finally, the library contains an organ in the southern most point of the tower. The organ can be used to play simple songs. However, if you play one of the two lower manuals Wizard Borann will yell at you, so it's suggested you stick to the top manual. 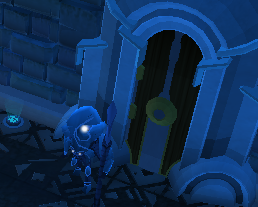 Most buildings in Runescape use stairs to get allow access to different floors, but wizards are apparently too good for that as not a single staircase exists in the tower. Instead, you will have to use ascending and descending magical beams to travel up and down floors. The beams can be found in the center of all floors. The beam should take you up to the first floor. The first floor contains Wizard Mizgog. 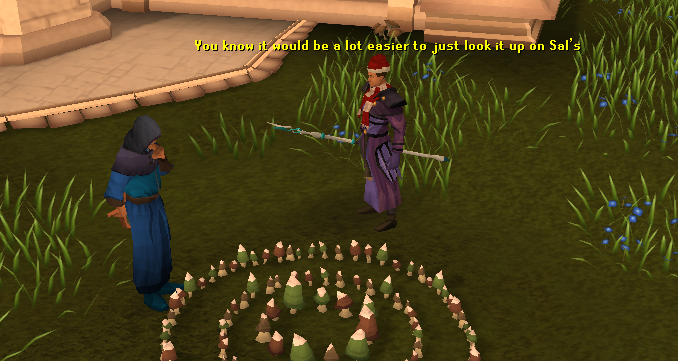 Wizard Mizgog can be spoken to to start the Imp Catcher quest. 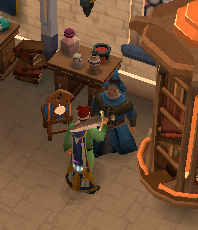 After completing the quest he can sell you Amulets of Accuracy for 5000gp. Despite their hefty cost the amulets provide only a small measured ranged bonus in the current combat system, so it's kind of a scam. You can also sell him the amulets for 1500gp. Near Wizard Mizgog lies Wizard Jalarast. Jalarast can make Splitbark armour for you if you have the required materials and gold. Splitbark armour is only available for members. In the room is also three log spawns. Next to Jalarast is Wizard Isidor. Isidor plays a role in the Myths of the White Lands quest, where he teleports you to the White Lands. He can also teleport you after the quest, although there isn't much of a point in going unless you want to practice hypothermia first aid. Finally, the crotchety Wizard Grayzag is on the second floor. He is described as a master of imps. If you have completed the Imp Catcher quest he will appear mad at you. Also in the vicinity is a level 100 Lesser Demon that you can talk to, taunt, or attack from range. The drops from the Lesser Demon can only be picked up using telekinetic grab. Besides from that, he plays a small role in the Rune Memories quest. The first floor also contains two nice balconies. In one face resides make-up overuser Wizard Ilona, who plays a small role in Rune Mysteries. Wizard Traiborn can be found on the second floor. He is a fan favorite with his term "thingummywut." He used to play a role in the Demon Slayer quest as the keeper of one of Sir Prysin's keys, but now does not serve much of a role. Wizard Ellaron is also found on the second floor. He is an important wizard in the Rune Mysteries and Rune Memories quests as the teacher of Ariane. He describes himself as one of the more senior members of the Wizard's Tower. 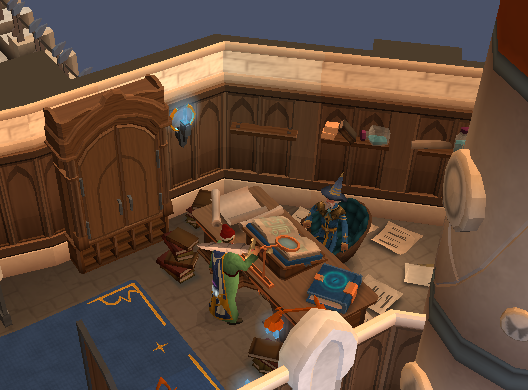 Finally, Archmage Sedridor's office lies on the second floor. 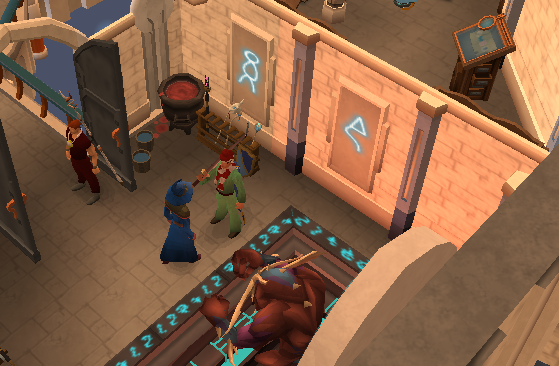 Sedridor can teleport you to the rune essence mines and tell you a little about the history of the Wizard's Tower. The roof contains three portals. 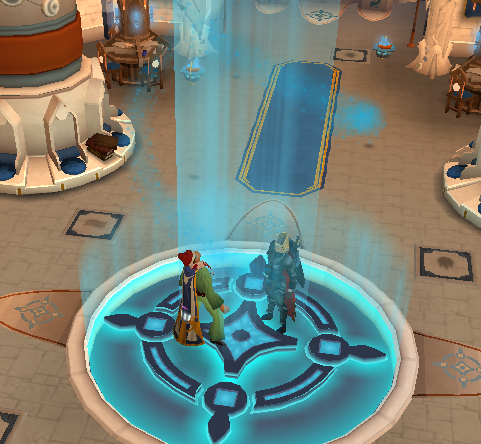 In the picture above, the portal to the left teleports you to the low level Runespan, the portal in the middle teleports you to the Runecrafting Guild, and the portal on the right teleports you to the high level Runespan. 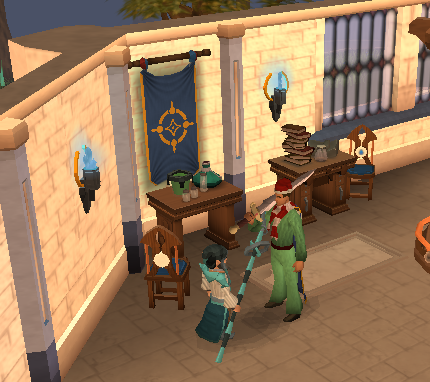 Near the green portal is Wizard Finix, who sells rewards from the Runespan that can be bought with Runespan points. 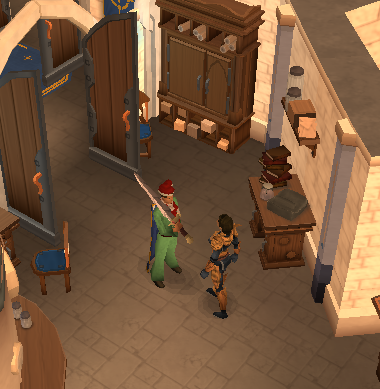 There is also a bank deposit chest that you can use to deposit, but not withdraw, items. To the northwest of the tower lies the spellwisps. These are level 26 magical monsters that mostly drop magical gear. They are good monsters to train range on at low levels. To the south of the tower is a Fairy Ring. A wizard can be seen trying to study it, to little avail. The code for the ring is DIS. To the northeast of the tower lies the entrance to the old and forgotten Wizards' Tower which lies beneath the current tower. 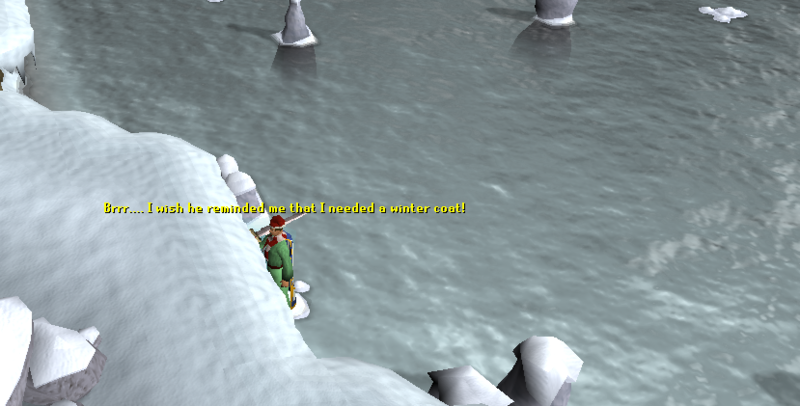 It can be accessed after starting Rune Mysteries. 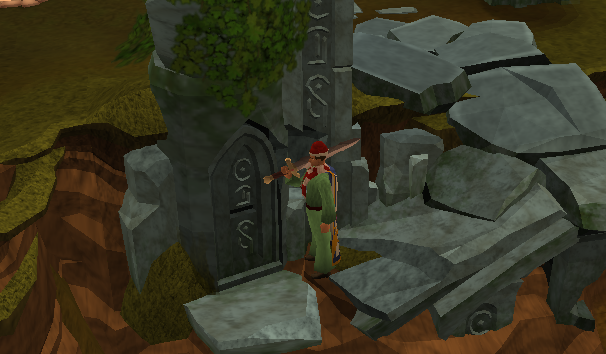 Upon entry to the old tower, you will be greeted by a Rune guardian. If you have completed the Rune Mysteries quest, you can change your order or make your order appear with your display name. The old tower is similar to the current tower in that it has a library, a study area, etc. It doesn't play much of a role other than in quests, so we're not going to get into it any more than we have already. It is an interesting place to explore if you ever get bored. That about wraps up the tour of the Wizards' Tower.